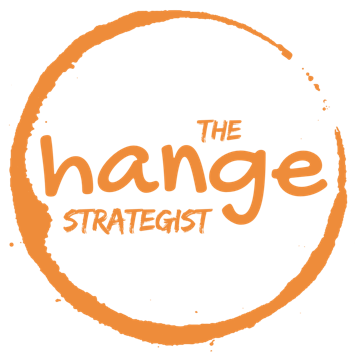 The Change Strategist is a team of partners and associates, consists of professionally proven experienced people in developing organisation system. The team is providing service on delivering business improvement solution to a specific type of industry: growing small and medium business in service and creative sectors. The business solution is provided as operational strategy, specify change and development processes and how to deliver it to get to the result. This is The Change Strategist’s contribution into the business’ bottom line. The Change Strategist adalah ‘tentara bayaran’. Kami adalah tim yang terdiri dari pelaku-pelaku proses perubahan di berbagai bisnis. Dalam analogi ‘tentara bayaran’, kami tidak hanya mempresentasikan strategi perang untuk membuat bisnis anda menang, tapi kami turut serta dalam pertempuran untuk memenangkannya. Sebagai ‘tentara bayaran’, kami tidak hanya membangun konsep tentang perubahan strategis, tapi lebih penting lagi kami melaksanakannya sesuai kebutuhan konsumen. Kami mengerjakan implementasi process improvement, apapun aktivitas proses yang diperlukan untuk memastikan implementasi tersebut berbuah hasil pada kinerja bisnis. Apabila disebut sebagai konsultan, maka kami adalah process consultant yang bekerja bersama konsumen kami, bukan expert consultant yang memberikan nasihat, pelatihan dan edukasi. Pelatihan, coaching dan edukasi adalah metode, tapi business intervention adalah kerja inti kami. Apabila disebut sebagai advisor, maka kami adalah technical advisory, dimana kami tidak hanya bicara konsep strategis, tapi kami turun tangan hingga eksekusi bersama tim operasional dari internal bisnis yang menjadi konsumen kami. Menjelaskan proses dan standard teknis ideal adalah sesuatu yang default, namun mempersiapkan taktik lapangan dalam kondisi tidak ideal beserta risk management nya adalah fokus kerja kami. Singkatnya, kami adalah perancang sekaligus teknisi sekaligus eksekutor perubahan di dalam bisnis, agar improvement yang ditargetkan business tercapai. Karena tim ini memiliki pengalaman praktek riil dan hands-on, baik gagal maupun berhasil, dalam menerapkan perubahan organisasi. Kami percaya tim terbaik adalah tim yang pernah turun tangan menjalankan konsep-konsep strategis dalam setting operasional, dan pernah gagal dan tidak hanya berhasil. Karena hanya dengan pengalaman hands-on seperti itu, maka tim tersebut bisa benar-benar memberikan perubahan nyata bagi bisnis, dan bukan hanya konsep ideal. The Change Strategist team memiliki dua jenis business improvement model yang merupakan portfolio keahlian tim ini. Kedua jenis model tersebut adalah business performance dan business environment. Klik laman Our Services untuk informasi lebih lanjut! If you are interested for more details, contact us through getsolution@jwsasongko.com. Thank you for sharing your blog! I particularly liked the entry that talked about the question regarding whether or not having a well-defined plan naturally leads to achieving the predetermined goal(s). As you can imagine, I don’t believe a plan always stays the same. Hopefully along the process you are receiving feedback and then adjusting the plan if necessary. I believe the real goal is to create something relevant, rather than to just complete the original plan. BTW – I like how clearly you have stated who you are, what is important to you, and what you do. several week ago someone told me that in business or working we have to see the process rather than the result. He said that if the process walked good, it will guide us to the good result..
but if we put a lot of attention to the result, in the end, we will stuck at the position or whatever we wanted in the first and it will not make people achieve higher position or money or whatever he or she wanted in the begining he or she started the business. I want to know what your think about the argumentation that I heard, is that true or maybe u have your own thought about the result n the process??? Process and result….. what an amazing paradox, isn’t it? I think it is inescapably important to examine our own perspectives on the two. I personally think that result is the reason why process exists. And, process is the only thing that define whether a result can be an existence, or not. To get to the result, we have to go into the process. To go into the process, we have to know what we want to achieve, or at least what we want to achieve in the first place. For me, two of them are remarkably relative to each other; and that is the nature of a paradox. Therefore, I would say that this is about ‘process AND result’, rather than ‘process OR result’. There are many stories telling about people who focused either only in the process or result, and they felt they were wrong. Hence, some say result (performance indicator, target, etc.) is more important than process (procedures, habits, etc. ); and some others say it is the opposite. For me, it is very important to examine the integrity of the connection between process and result, as they both are inseparable. It is true that good process will lead us to good result, but it may not what we believe as a good result in the first place; it may not the ‘good’ result we want when start the process. This is where creativity is possible, and there are plenty of stories about success that emerged from unintended results. Nevertheless, being clear about what we want to achieve is never less crucial. We need to know the value from the result we are expecting, so we know how to adjust it based on the situation and still gain the similar value, or even better.